Blue is such a wonderful color. It is not often found in flowers, although there are some. Many of the flowers that are called blue have more of a purple tinge to them. 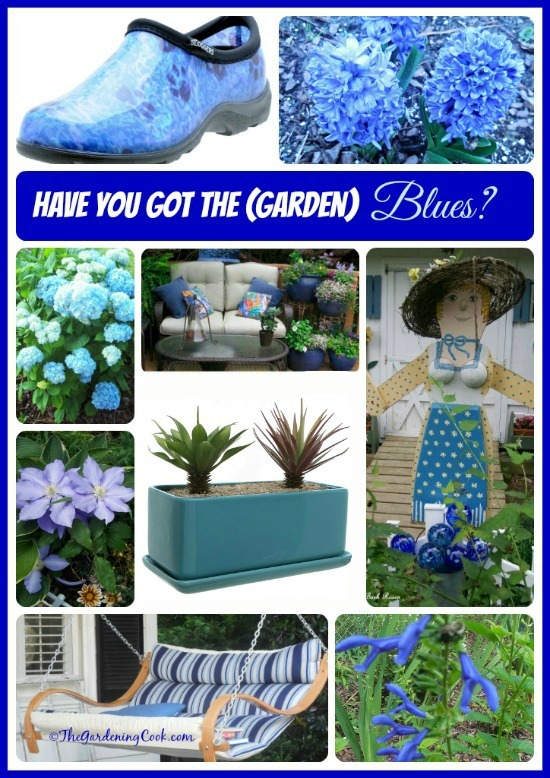 But you can add blue to your garden with carefully chosen garden accents, seating and other items. Whether it be seating, a planter, or a well placed watering can, these lovely blue accents make the surrounding areas such a pleasant place to gaze upon. And don’t forget the blue flowers when you can find them! 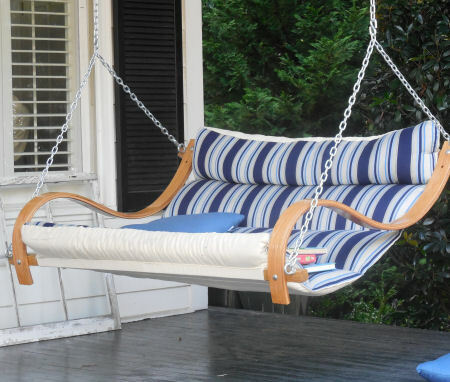 This stunning blue garden swing makes the perfect place to read on the corner of this porch. I discovered it on a walk to one of my favorite pizza places and just had to take a photo of it! 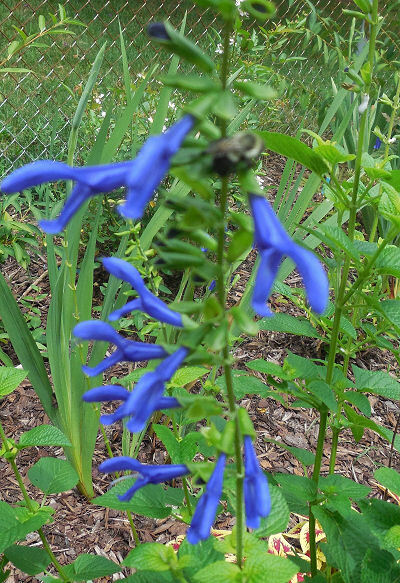 A true blue perennial salvia flower. Flowering in my test Garden right now. This clematis makes a wonderful vine to grow on a mail box. Not strictly but but fairly close in color. 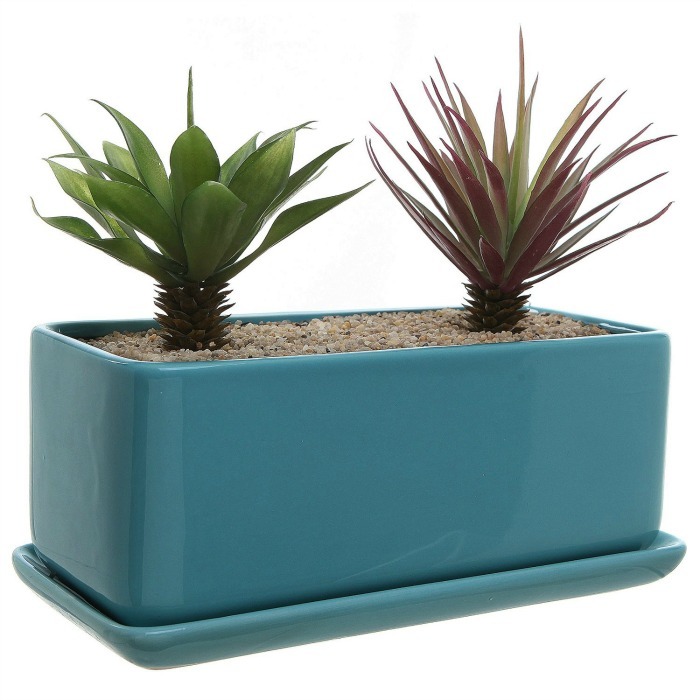 This minimalist rectangular blue planter is the perfect way to showcase succulents. They are available from Amazon. My hydrangea bush in full bloom. Can you believe this was pink last year? 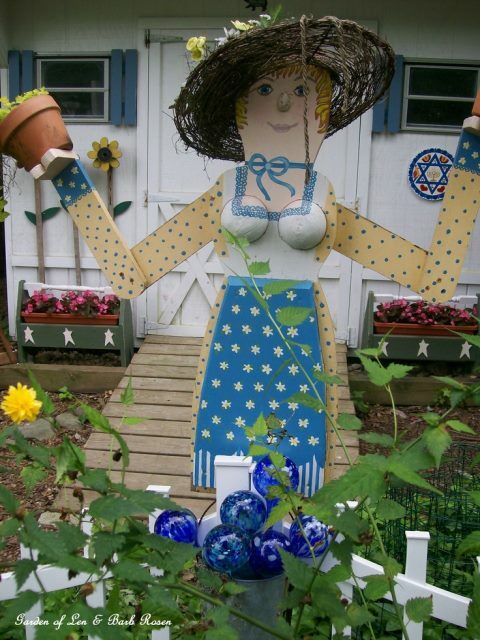 This Whimsical Garden Greeter adds a fanciful touch to the entry of this garden shed. Shared by Barb of Our Fairfield Home and Garden. 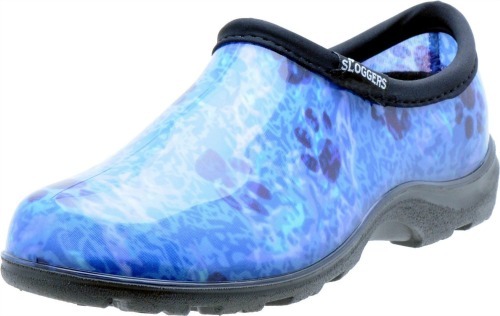 If your case of the blues goes right down to your feet, cheer them up in these great blue garden shoes from our affiliate Amazon. 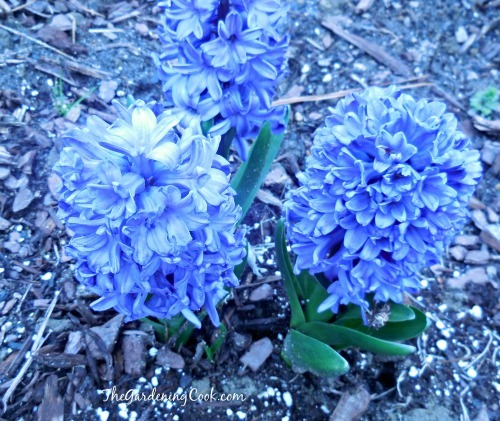 Some of the earliest of my blue flowers are these blue hyacinths. Their fragrance is so lovely and the blooms are lush and gorgeous. I actually have the gardening pinks. I’m not sure I’ve ever planted a blue flower! I just love reds, pinks, purples and never seem to get into the blue side. I have 9 different hydrangeas and let them all bloom pink. The pictures are lovely and I do love the blue bottles etc for outdoors. I love blue flowers too. 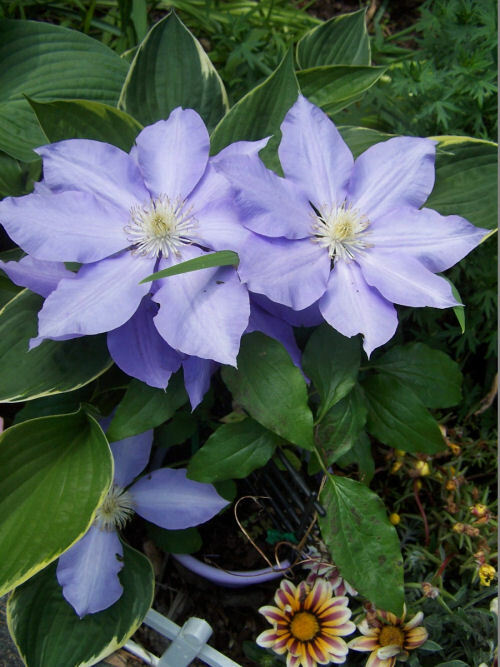 My favorite is the Platycodon…Love them!…bluer than blue! Can’t get enough. My blue moon flowers are in bloom now. Very large blossoms. So pretty! Ooooo love the blues. My favorite color. 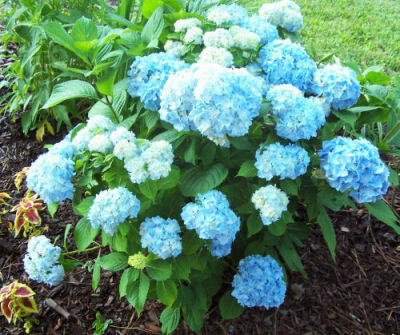 I’ve been saving my coffee grounds to put around a few hydrangeas (because I’m too lazy to go buy sulfur) to make sure they are a nice blue..